Francesca was five months old when she visited our partner organization, Fundación GAVINA in Tucumán, Argentina. The youngest child in the house, Francesca lives in Tucumán with her parents and five siblings. Francesca’s parents were determined to ensure that their daughter received adequate care for her condition despite their limited financial resources. As is the case with many cleft lip and palate patients, Francesca experienced feeding challenges as an infant and struggled to put on weight. 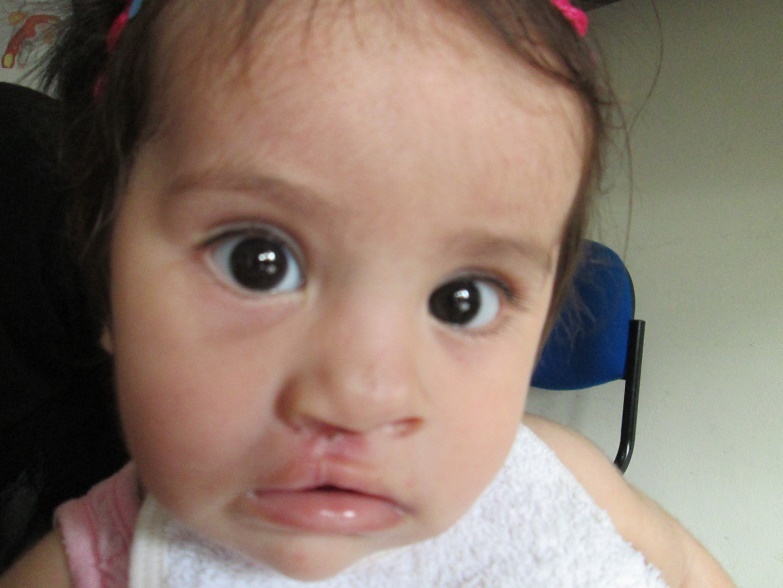 As a result of this, Francesca’s cleft repair surgery was delayed. At Fundación GAVINA, our partners provided nutrition counselling to Francesa’s parents to help address this issue. She also received surgery for her cleft lip when she reached a healthy weight. Our team at GAVINA note how rewarding it is now to see Francesca and her mother laughing and smiling when they visit the cleft care facility for follow-up care. Transforming Faces has been working in Argentina for more than 15 years. Our current partner, Fundación GAVINA’s comprehensive cleft care services include surgery, speech therapy, dental care, nutrition support and counselling for family members. Find out more about our programs in Argentina here!